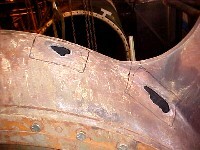 Freeze damage caused cracks in this shipboard engine. Prior weld repair failed immediately. 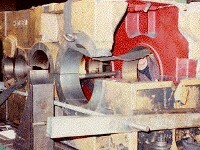 Metal Surgery fabricated and installed new sections. The repair was hydro-tested and considered to be good as new.